Bangkok’s Old City is one of the most attractive neighbourhoods in Bangkok, as many of the buildings have been preserved as they were a hundred years ago. There are restaurants in old shophouses. Everywhere you go, from the fancy shopping malls downtown, to the grungy streets of Chinatown, to the vast semi-outdoor markets—even in the hyper-touristy areas around the gorgeous wats and palaces in the old city—you’ll find hawkers offering fresh-cooked meals, sometimes eaten straight out of hand, sometimes while perched on little plastic seats around a makeshift picnic table. 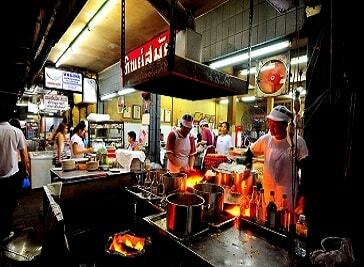 From street food to high end restaurants, and from Thai food to international, Bangkok is a paradise for any food lover. 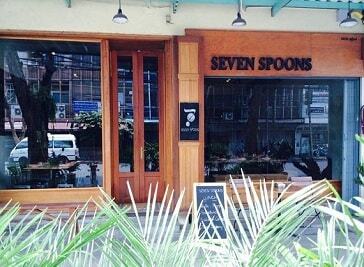 Seven Spoons is a destination restaurant promises to tickle your senses in a warm, minimalist gastrobar on the edge of Chinatown. It offers a modern cuisine menu, including Mediterranean influenced dishes and pasta, lovingly made from locally produced and organic ingredients wherever possible. It is near the corner of Jor Por Ror (JPR) and Chakkrapatipong (22-24 Chakkrapatipong Road), in a restored Chinese shophouse. 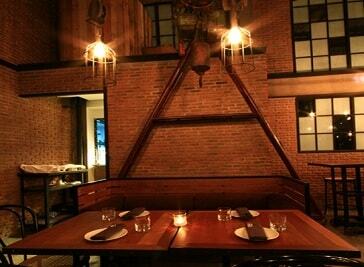 It is open for dinner daily, except Monday, from 6pm to 1am. Brand new Sheepshank Public House is a beacon of modern cuisine on historic, bohemian Phra Arthit Road. Cool minimalist, industrial design in a former boat repair shop, the restaurant features a long and spectacular view of the river and Rama 8 bridge. 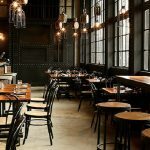 With Modern American cuisine, featuring international and an innovative mix of local flavors, Sheepshank Public House emphasizes freshness of ingredients along with meticulous presentation - making for an exquisite dining experience. Possibly the most famous phad thai joint in the country. With over 50 years’ of experience, Thip Samai offers seven types of delicious phad thai ranging from 30 baht to a little over 100 baht per dish. The signature version, 'pad thai song-kreung' consists of shrimp roe, prawns, fried egg, fresh crabmeat, ground cuttlefish and sliced mango – very delicious. Beside phad thai, Thip Samai is also known for its freshly squeezed orange juice and ice smoothies with pieces of sliced coconut.